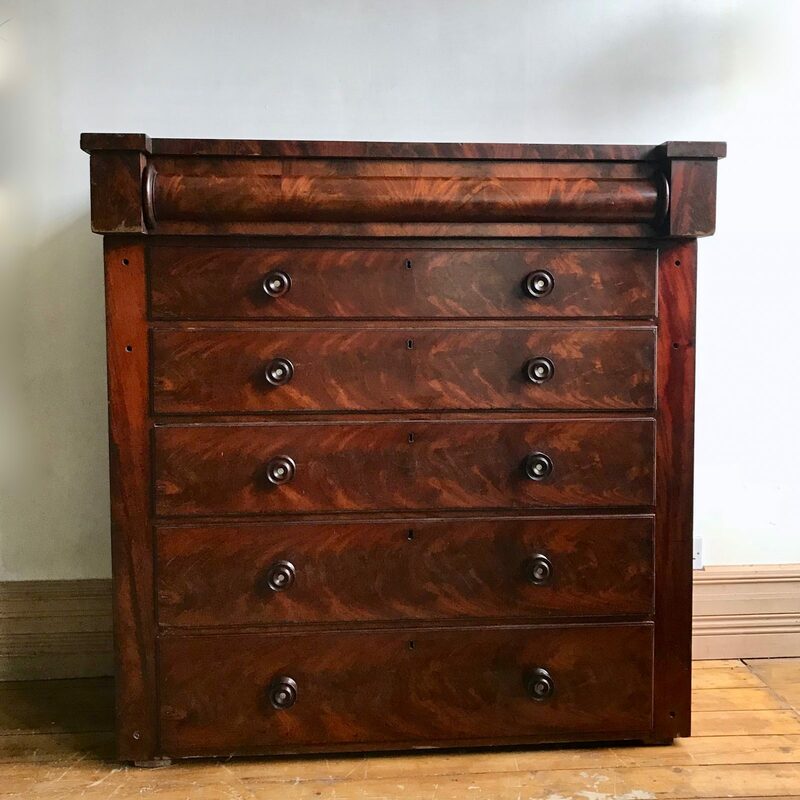 Large Chest of Drawers with five drawers with their original handles and one hidden drawer in the top, hidden by the column detail. The drawers have lost the two side columns and the decorative top pieces but they are still full of charm. They could be painted at an additional cost.